Ask a Death Eater!. . Wallpaper and background images in the harry potter contra crepúsculo club tagged: death eaters ask A funny tumblr bellatrix lestrange voldemort snape harry potter. 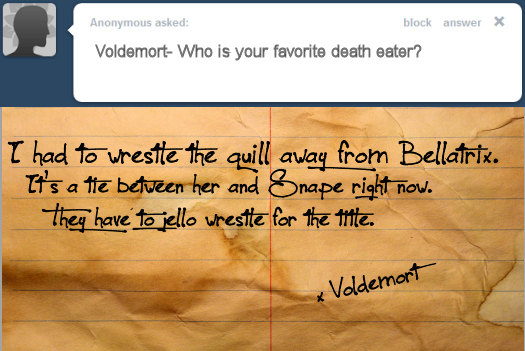 Jello wrestling Death Eaters? LOL!